In the interview, Perry hints that he would do more to limit the power of the federal government—or at least attempt to do more—than any president since Calvin Coolidge. His argument is basically that we should dismantle most of the last 75 years of national policy and relinquish even Washington’s least controversial responsibilities to the states. Is this a case of the mask slipping? 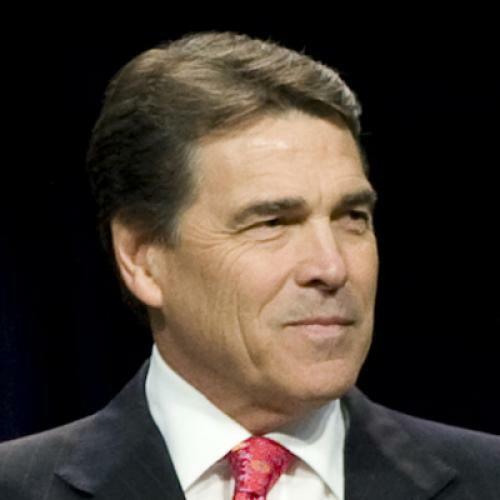 Perry never contemplating at the time that he'd have to run for office outside of Texas? An actual plan to run a far-right campaign? I don't know. I tell people, that "personal property" and the ownership of that personal property is crucial to our way of life. Our founding fathers understood that it was a very important part of the pursuit of happiness. Being able to own things that are your own is one of the things that makes America unique. But I happen to think that it's in jeopardy. It's in jeopardy because of taxes; it's in jeopardy because of regulation; it's in jeopardy because of a legal system that’s run amok. And I think it's time for us to just hand it over to God and say, "God, You’re going to have to fix this." Again, I don't know enough about Perry to separate out conviction from message. It seems like the perfect Republican synthesis, free markets as an extension of Christian belief.